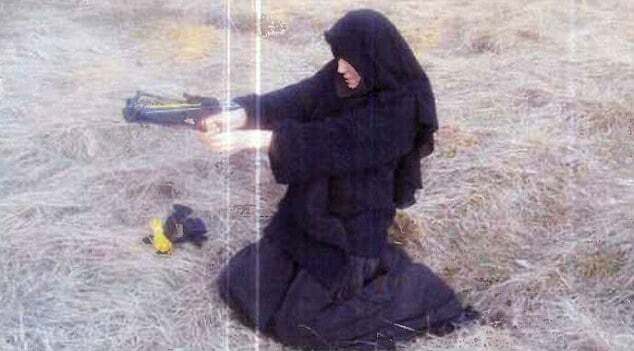 Has Hayat Boumeddiene escaped to Syria and is she now planning a reprisal attack? Pictured with her terrorist husband, Amedy Coulibaly who was shot dead during a siege of Jewish supermarket in Paris. 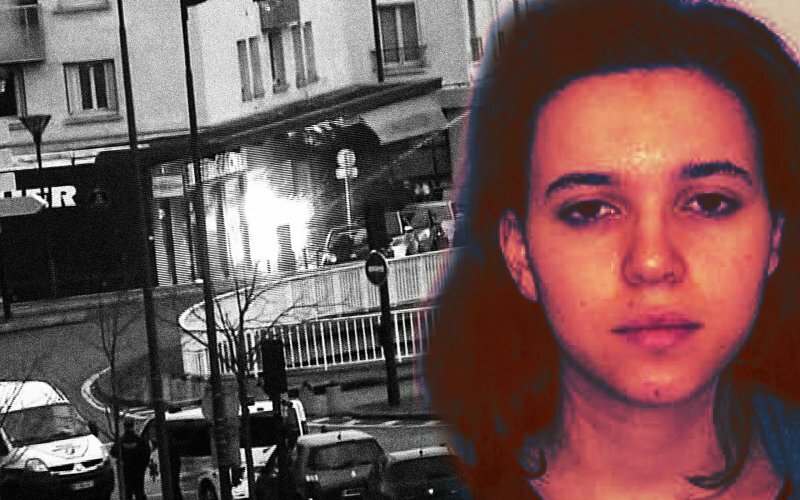 French authorities have told that they now believe the wife of terrorist gunman Amedy Coulibaly, Hayat Boumeddiene to have escaped to Syria. 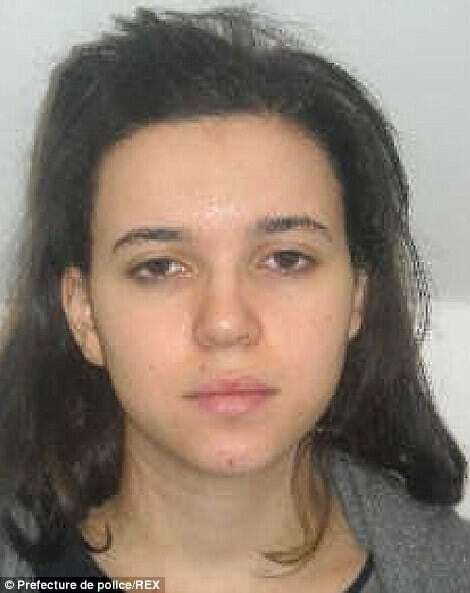 Said to be the most wanted woman in France, authorities believe the partner of Coulibaly who killed a municipal policewoman along with four hostages before finally being taken down flew to Turkey via Madrid on January 2nd before then crossing the Turkey-Syria border on Thursday. 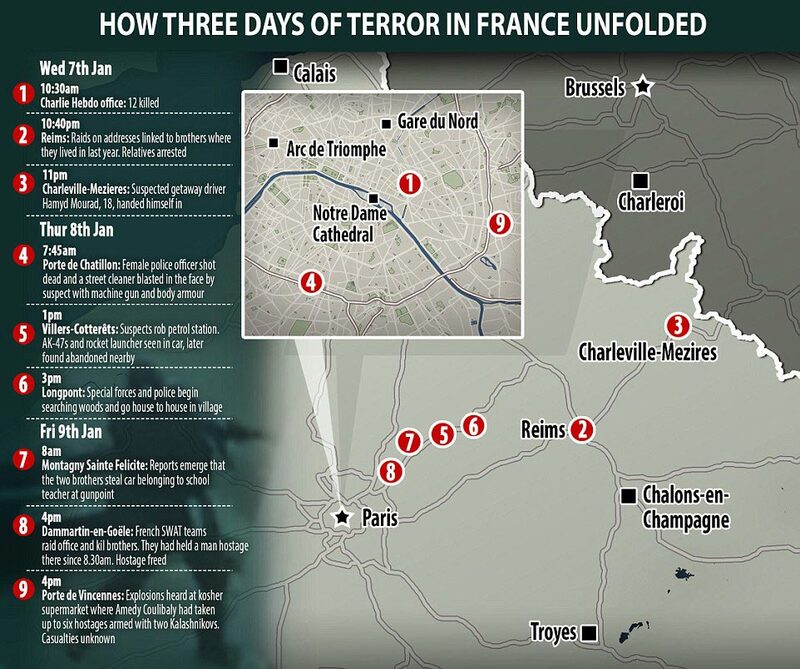 The report comes despite the alleged sighting of the woman in Paris on Thursday. The woman’s escape to Turkey comes as authorities in Instabul, Turkey told that a woman matching Boumeddiene’s description crossing the Syrian border on Thursday, the day her husband killed policewoman Clarissa Jean-Philippe. Sources told the fugitive had a return ticket from Istanbul to Madrid for yesterday but failed to show for the flight. Sources also add that Boumeddiene’s travels out of the country was conducted in concert with a man whose brother is known to French intelligence services. It is said that man accompanied the fugitive out of France. 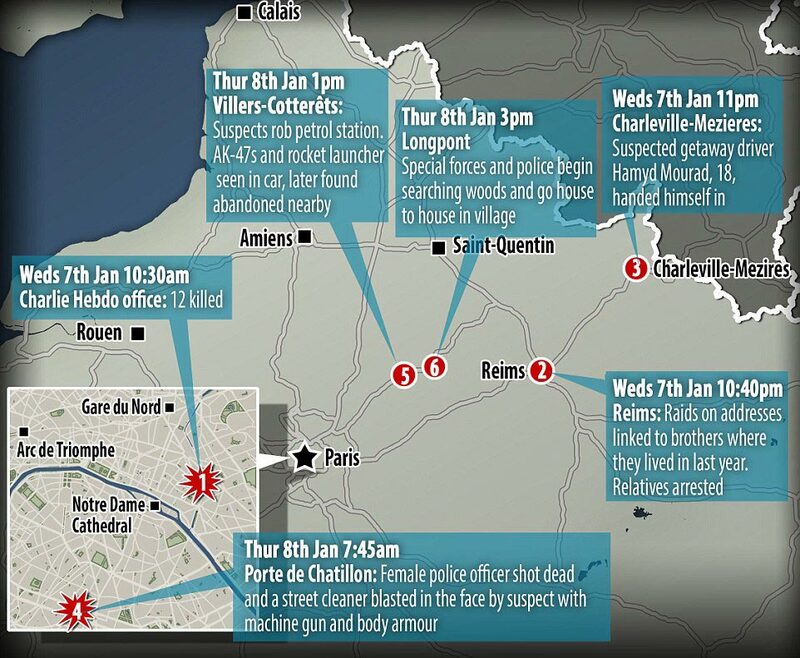 In a bid to locate Boumeddiene’s where abouts, cops today took to interrogating the wives of the Kouachi brothers responsible for the Charlie Hebdo massacre , where a trail of incriminating phone calls has since been noted. In the space of 12 months, authorities told hundreds of phone calls between Boumeddiene and Izzana Hamyd, wife of Cherif Kouachi, had shown up on mobile records. Five hundred in all were made last year. 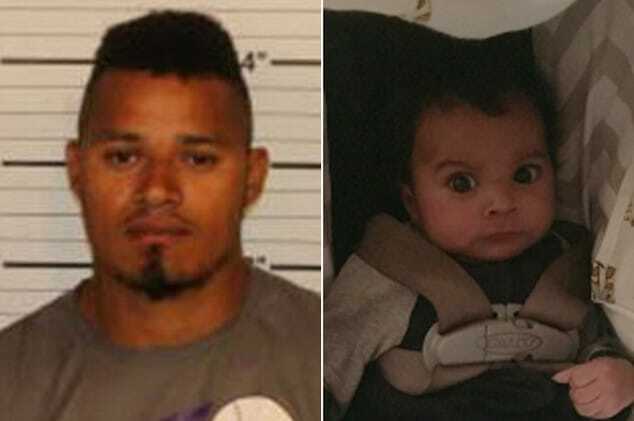 The wife or girlfriend of the older Kouachi brother, Said, is also being held. The new report has galvanized the belief that French Algerian Boumeddiene who was initially thought to have been with Coulibaly during the Kosher Supermarket siege and then believed to have immediately fled immediately before her husband’s killing has instead being holed up in Syria where she is believed to still be and possibly planning new course of action. Since the outing of the woman’s existence and whatever role she may have played in the massacres that terrorized a nation, Boumeddiene has become the focus of intelligence reports and speculation as images of her wearing a skimpy bikini with her arms wrapped around her lover’s waist have begun making the rounds. 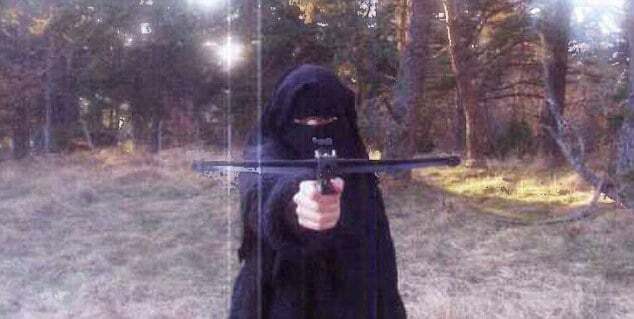 Reports claim that photographs of the ‘wife’ of the Kosher supermarket hostage killer reveal how she came to be radicalized by the man she would go on to marry. Whilst her husband Amedy Coulibaly and his assailant partners, the Kouachi brothers are now dead, with the driver of the Charlie Hebdo massacre, Hamyd Mourad, 18 in captivity, after surrendering upon seeing his name trending on social media, authorities continue to fear reprisal and further bloodshed. 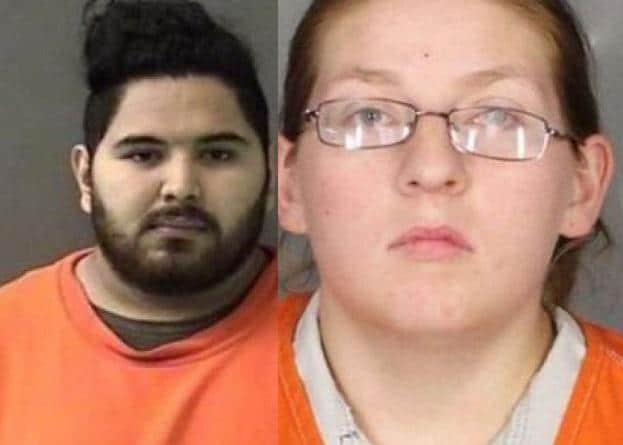 The couple are reported to have ‘married’ in a religious ceremony after Boumedienne, who was never seen without her veil, waited four years for him to come out of jail following his conviction for armed robbery. The couple were never married in a civil ceremony – the only form of marriage legally accepted in France. While Coulibaly had a well documented track record, details of Boumeddiene’s ‘troubled childhood’ are only now emerging. Like her husband she was born into a large family, seven children, in 1988 but when she was just six years old, her mother died. 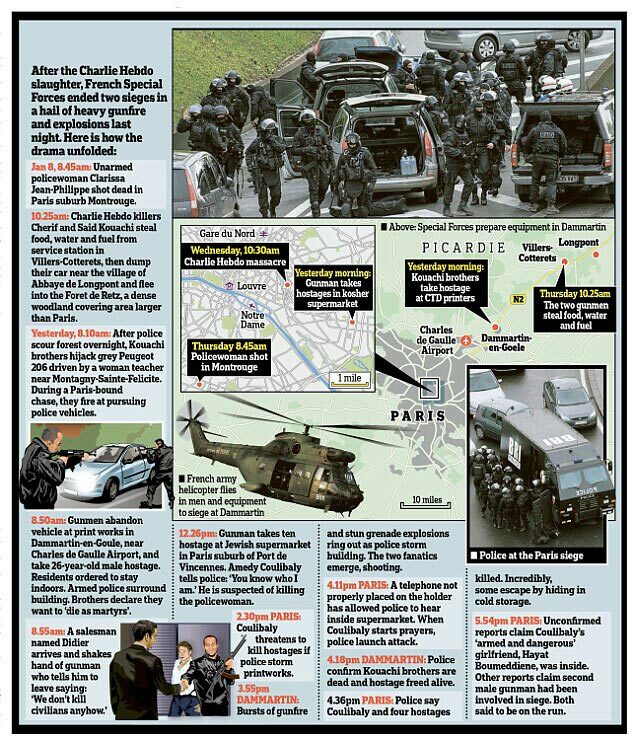 The eldest children left home, according to reports in Le Parisien, and social workers took over. 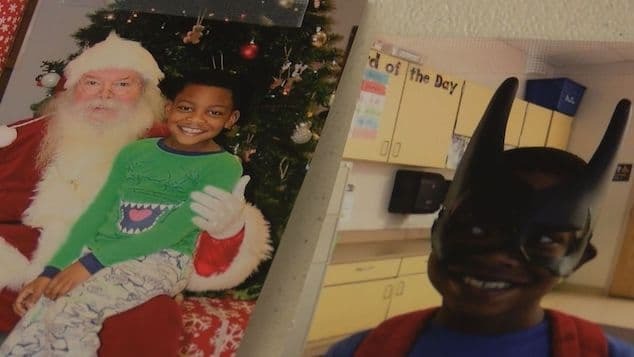 It is suggested that Boumeddiene may have been put into care. Estranged from her father, she met him briefly once more and introduced him to Coulibaly. But all may not have been as settled as the young woman, radicalised by her husband, thought. It is understood he had made it clear he wanted to take a second wife, according to other reports. 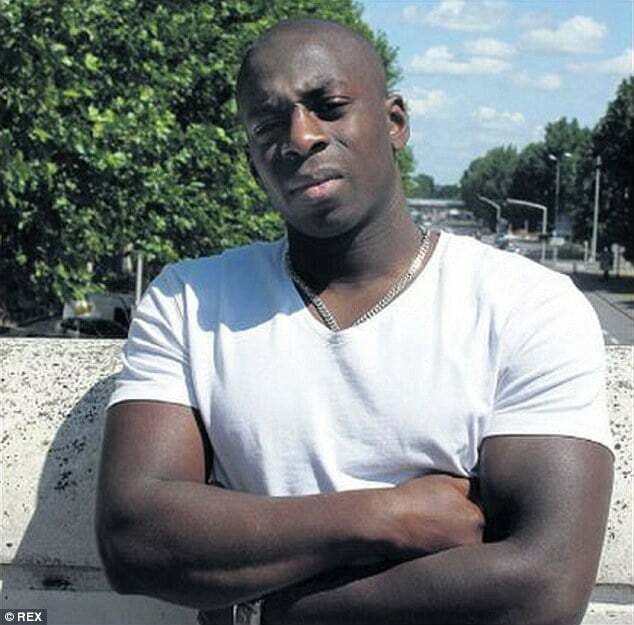 Today, questioned by police at his home in Nanterre, a Paris suburb, Boumeddiene’s father is said to be shocked and unable to believe that his daughter was involved with the terrorist cell. But it is becoming clear that the one-time cashier was radicalized after meeting the man she would marry. She is from an Algerian background and altered her surname to ‘make it sound more French’, according to an investigating source. She told police who interviewed her as part of their inquiries into Coulibaly’s murky dealings with Islamic extremists that she had walked away from a low-paid job as a cashier in the Juvisy suburb of Paris in 2009 and taken the veil. She ‘devoted herself’ to Coulibaly. Interrogated by police in 2010, Boumeddiene said she was inspired by her husband and the radicals she lived with to ‘read a lot of books on religion and because of this, I came to ask questions on religion’. Boumeddiene is also believed to have claimed that when Americans killed innocents, it was the right of men to defend their women and children. 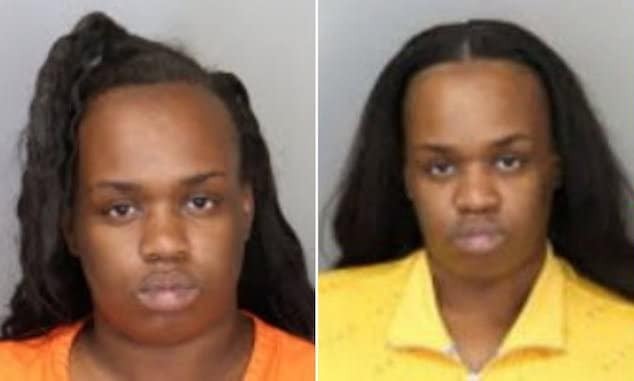 Cops would also reveal that the couple lived in the southern Paris community of Bagneux, where they were known as a devoutly religious couple, despite Coulibaly’s regular run-ins with the law. To neighbors the pair were quiet, respectful and normal and had even gone on a holiday to Malaysia together. But a month ago they simply disappeared from their suburban house until resurfacing this week in France’s worst act of terrorism in decades.